The last three digits in the error code may vary, but they all indicate system update problems. Your Xbox One may get stuck on the screen startup animation with the Xbox logo. Your console may display a black screen instead of the startup animation, after which it may load into a broken home screen. There are a lot of different ways that an Xbox One system update error can manifest, but nearly every updating problem is caused by one of six different problems that you can usually fix yourself. Restart your Xbox One: Sometimes your Xbox One just needs a helpful little push to finish updating itself. This is an easy option that can fix problems like error messages and codes, and getting stuck on the loading screen. Reset your Xbox One: This is also an easy fix that can help your Xbox One complete the update process if you have an error code, error message, or the loading screen is stuck. Resetting is different from restarting, but it's less drastic than a full factory reset. Check your network connection: Whenever an Xbox One update fails, you have to consider that it could be due to a network error. If you have access to the troubleshooter, or your console boots normally, test the network connection. Attempt an offline update: In cases where an Xbox one fails to update due to issues like network problems and corrupted data, an offline update can get you going. If neither restarting or resetting helps, or if you have network issues, this will probably fix your problem. Free up space on your hard drive: When you see an error message that states your Xbox One is almost full, freeing up hard drive space usually fixes the problem. Factory reset your Xbox One: This is a last ditch fix that you shouldn't attempt until you've exhausted all of your other options. Performing a factory reset permanently deletes all of your locally stored files and game saves. There is also a seventh reason that Xbox One consoles fail to update, but you can't do anything about it yourself. If all of these fixes fail, and you still can't update your console, then you may have a physical hardware failure. In that case, you will need to contact Microsoft. When your Xbox One displays the Something went wrong message after a failed system update, or it gets stuck on a loading screen, the best way to get it working again is to work through the potential fixes from the easiest to the most difficult. You can use error codes to receive specific assistance from Microsoft technical support, but nearly every error code is fixed via this same basic process. There are a handful of exceptions, like an error code that starts with 8B050033 usually indicates an Xbox server issue, and a code that starts with E100 indicates a hardware fault that you won't be able to fix yourself. When an Xbox One system update fails, it isn't always a huge problem. In some cases, the update will actually complete just fine if you restart, or power cycle, your Xbox One. This is extremely easy to accomplish if your Xbox One has gotten stuck on the Something went wrong screen. This screen actually has an option that you can use to restart your console. Once it restarts, you have to wait to see if the update completes. If it doesn't, then you will need to power cycle your console. This is a little like restarting, but you actually unplug the Xbox One from power for a while before you turn it back on. If you aren't able to get the Something went wrong screen, power cycle your Xbox by holding the power button down for at least 10 seconds. After the Xbox turns off, press the power button again to turn it on. Use the D-pad on your controller to select Restart this Xbox. Press the A button on your controller with Restart this Xbox selected. Wait for the console to restart, and see if the update is able to finish. If the update still doesn't finish, shut down your Xbox. Unplug your Xbox from power, and wait at least 30 seconds. Plug your Xbox back in, turn it on, and see if the update is able to finish. If the update still doesn't finish, you'll need to reset your Xbox One. Resetting an Xbox One is a little more involved than simply restarting or power cycling it. This process is a lot like a full factory reset, but it leaves all of your personal data intact. That means you can reset your Xbox One, finish the update, and go right back to playing your games without having to download them again. This process also leaves all of your game save data intact, so you won't even lose your progress. After you reset your Xbox One, you'll need to attempt the update again. If it still fails, then you can try checking your network connection, attempt an offline update, or perform a full factory reset. Turn your Xbox One off, and unplug it from power. Wait at least 30 seconds, and then plug the Xbox back in. Press and hold both the bind button and the eject button on your Xbox One. The bind button is the one you use to sync wireless controllers to your Xbox One, and the eject button is the one you use to eject discs. With the bind and eject buttons still held down, press and release the power button. At this time, you will hear a startup chime. Release the bind and eject buttons. Select Reset this Xbox from the menu. Select Keep games and apps. If you don't select Keep games and apps, you will perform a full factory reset and lose all locally stored data. Wait for the process to complete, and attempt to update your console again. If your Xbox One still doesn't update, then you may have a network problem, or an issue that can only be fixed by a full factory reset. To update your Xbox One through the normal process, you need a solid internet connection. If there are any problems with your network, or your internet connection, the update may fail. 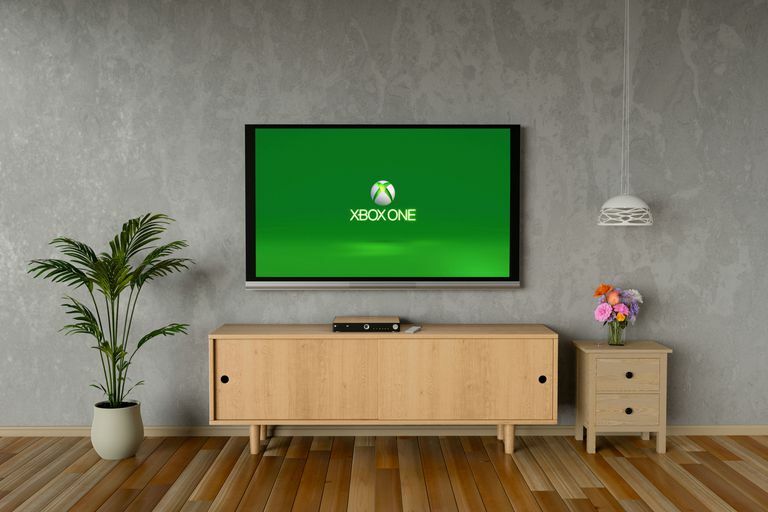 Before you take more drastic steps, like a full factory reset, it's a good idea to check your network connection and the status of the Xbox servers. If you have a specific trouble code or error message that references connectivity issues, then checking and fixing your network connection will usually fix your problem. Error 8B050033 indicates that the update is not currently available. If there are no problems with your internet connection or network, then there may be an issue with the Xbox servers. Wait and try the update later. If your Xbox One detects problems with your network connection, or with the Xbox servers, they will appear on this screen. If there are any problems with your network connection, fix them and then try to update your console again. You can also attempt an offline update. When your Xbox One experiences network or internet connectivity problems, it will fail to update. Even if your connection appears solid, there are other factors that can result in a regular update failing. If your Xbox One fails to update even after you have reset it, or you uncovered a network problem that you're unable to fix, then performing an offline update will usually take care of the problem. A USB flash drive that has at least 4 GB of free space, and preferably nothing else stored on it. A Windows-based PC with a USB port and internet connection. The flash drive needs to be formatted NTFS, not FAT32. If you don't know how to do this, our guide to formatting a hard drive in Windows will walk you through the process. Right click on the file, and select Extract all. Copy the $SystemUpdate file to your flash drive. Plug the flash drive into your Xbox One. After waiting at least 30 seconds, press the bind button and the eject button on your Xbox one. The bind button is the button you press to sync a wireless controller, and the eject button is the one you press to eject a disc. Keep the buttons held down until you hear your Xbox One make two power up sounds. Wait for your Xbox one to complete the update process. If your Xbox One doesn't update, then you may need to perform a factory reset, or have your console physically repaired by Microsoft. The last specific reason that an Xbox One update can fail is when there isn't enough space left on the hard drive. If there isn't enough space to download and complete the update, it will fail and give you an error message. The solution to this problem is to delete games, apps, and video content that you don't use anymore. The Xbox One supports external storage media. If you don't want to delete anything, try plugging in an external USB hard drive, and just move some of your games there instead. Locate games you don't play anymore, or content you don't need anymore. If you've ever downloaded game trailers, those take up a lot of space, and you probably don't need them anymore. Try deleting those first. Select an item you want to delete, and press the menu button (three horizontal lines) on your Xbox One controller. Repeat this process until you have freed up enough space to complete your update. If your Xbox One still fails to update after trying all of these fixes, the last thing you should attempt is a factory reset. For more information about this procedure, check out our full guide to factory resetting an Xbox One. Consoles that still won't update after a full factory reset typically require physical repairs. When you find yourself in that situation, the best option is to contact Microsoft to arrange repairs.